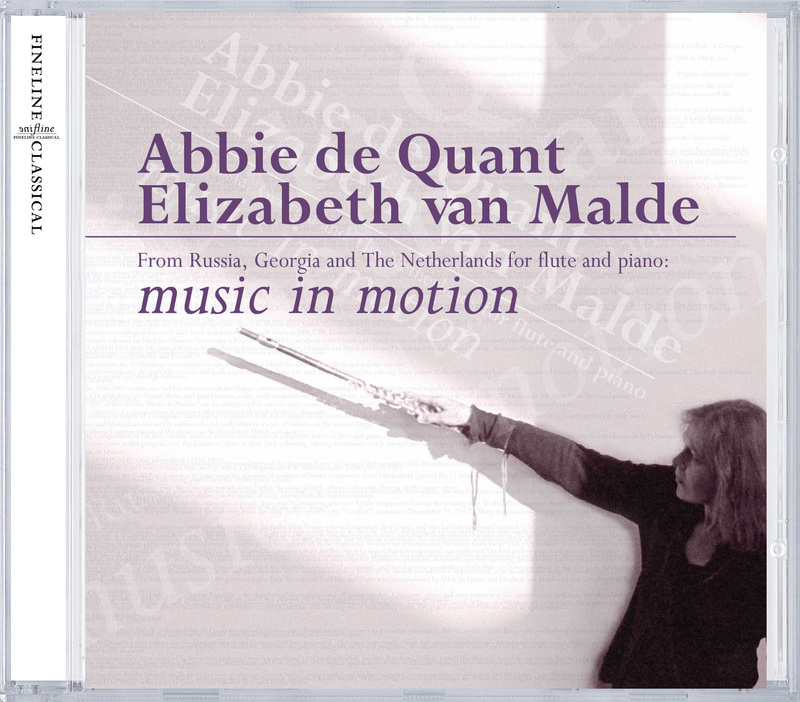 The title of this album, “Music in Motion” can be interpreted in various ways: music which concretely invites to movement - dancing - and a more abstract approach to it. The character of a composition is amongst others defined through rhythmic elements: the country of origin of a composer can often be recognized in it, for example in the music of Prokofiev, Gubaidulina and Taktakishvili. The influence of folk music is clearly present in their work. Music and Motion are intrinsicly connected with each other in a scale of nuances of the senses: happy, sad, vital, sensual, flowing, lightfooted, temperamental, etc. The abstract interpretation of the theme can be found with Dutch composers. In the composition of Du Bois various sorts of musical movements in a dialogue between flute and piano are sought for. Zuidam looked for movement- and developmental possibilities between both instruments. The slow parts in this program (i.e. Rachmaninov) have in their lyric a flowing, stirring movement which strengthens the singing element.